Take your time to browse our products. 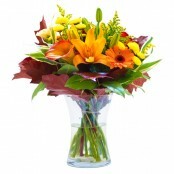 We offer bouquets and arrangements suitable for same day delivery in Swaffham. 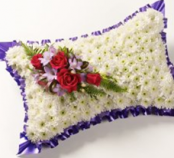 Please order before midday for guaranteed flower delivery in Swaffham. Buy fresh! Buy local! Support local business and order from Sarah Coxon Floral Design. 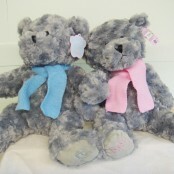 You can also send flowers nationally and internationally using our relay partner Direct 2 Florist. We have fresh flower deliveries which arrive every day driect form the auctions in Holland, so you can be confident you are sending the very best quality of flowers. Below is a selection of flowers that can be delivered the same day in Swaffham if ordered by 2.00pm (depending on stock levels). We can also deliver flowers the same day in the following areas Dereham, Great Ryburgh, Guist, Fakenham, North Norfolk, Litcham, Weasenham, Sculthorpe, Burnham Market, Wells-next-sea, Holt, Docking, North Elmham, Reepham, Walsingham, Mileham and many more. 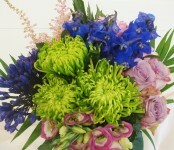 Please call us on 01328 829 781 to see if we can deliver flowers in your area.